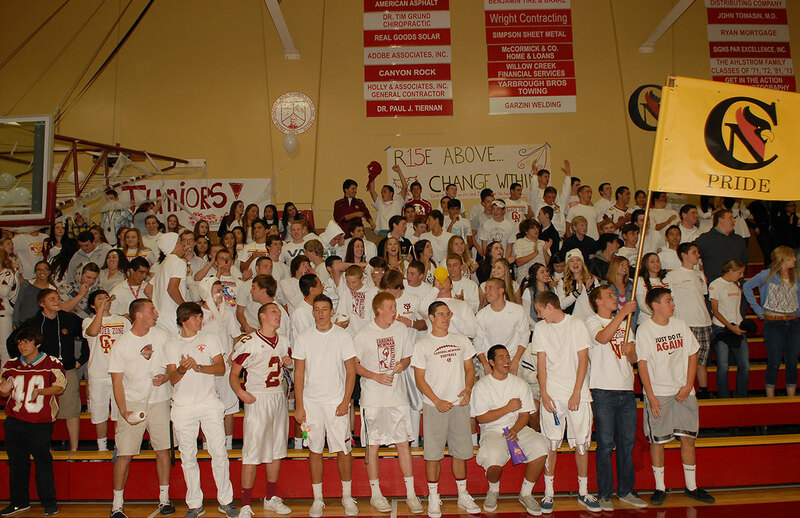 The Annual Fund at Cardinal Newman raises necessary funds to support the operating costs of the school in addition to providing necessary funds for improved academic and athletic programs for our students. Your continued support year after year insures that the best programs can be offered at Newman. Your generosity is much appreciated. We ask all NEW CN families to attend a New Parent Annual Fund Meeting and return a Commitment Form. Use the link below to RSVP to a meeting. Fund A Future - for deserving young women and men in our community, to grant them the experience and extraordinary benefits of a Cardinal Newman Catholic education. The Cardinal Newman Board of Directors and our president, Laura Held invite you to attend our annual Fund A Future celebration. This year's event, following extraordinary circumstances of the North Bay Fires, we are hosting a celebration to thank and recognize all who so generously supported Cardinal Newman. Make a Gift Today! Thank you! Opportunities to give to Fund A Future will be made available at this year’s breakfast celebration. Keynote speakers and recipients of scholarships will share their stories. For your opportunity to give and to be added to the invitation list, contact the Advancement Office by emailing Terri Derr at derr@cardinalnewman.org. Your support and generosity is greatly appreciated. All gifts are truly appreciated. A gift of education lasts a lifetime. And a gift of an educational endowment lasts forever. Unless otherwise specified, all gifts made as endowed gifts are placed in the Cardinal Newman Scholarship Fund with proceeds supporting tuition assistance. Establishing a Named Endowment in memory of a loved one with a gift of $25,000 or more is a great way to honor a life well lived. There are several ways to enjoy the rewards the law offers the generous. The method you choose will depend on your personal circumstances and your financial and charitable objectives. Feel free to contact the CNHS Office of Institutional Advancement with any questions or concerns. Enjoy the satisfaction of completing a larger gift than you thought possible during your lifetime. Avoid taxes on appreciated stock or real estate. Turn your home into tax savings without having to move. Still provide a generous inheritance for your heirs. These Named Endowments were begun with gifts that exceeded a total of $25,000 for the endowment. If you wish to establish a Named Endowment please contact the CNHS Office of Institutional Advancement. The Cardinal Newman Scholarship Endowment Fund is an accumulation over the years of gifts presented as part of a memorial to honor a specific person. If you wish to memorialize a loved one without establishing a Named Endowment, please know that all gifts made to the Cardinal Newman Scholarship Endowment Fund in honor of a loved one memorialize that person by including him or her in the perpetual prayer offered by all members of the CNHS community at every liturgical celebration throughout every academic year. Gifts made to the Cardinal Newman Fund in memory of a loved one are welcome, as well. Donors who have supported Cardinal Newman High School during their lifetimes are encouraged to continue their generosity in perpetuity. A simple bequest to CN will assure that tomorrow's students benefit from a life's work. I give and bequeath to Cardinal Newman High School's AMJHN Foundation, Inc., a not-for-profit corporation located at Santa Rosa, California, _____________(describe dollar amount, property to be given, or proportion of residuary estate), to be used as the officers of Cardinal Newman High School's AMJHN Foundation may direct. I give and bequeath _________________(describe dollar amount, property to be given, or proportion of residuary estate), to Cardinal Newman High School's AMJHN Foundation, a not-for-profit corporation located at Santa Rosa, California, to establish the (Smith Family) Fund to be held as a permanent fund within the Schools' general endowment, with the expendable distribution from this fund to be used for the ______________(list the specific purpose of the fund, such as scholarships, library collections, faculty enrichment, etc.). Gifts of Appreciated Property or Securities BequestPlease contact the Cardinal Newman High School Office of Institutional Advancement for helpful instructions on transferring stock. With the market at record highs, have you ever considered donating appreciated securities to Cardinal Newman? There are significant donor tax advantages to this type of giving, and Cardinal Newman is well-prepared to make the process very easy for you. Further, with the current debate about tax law changes, this very advantageous opportunity may not exist next year. If you are a regular giver to Cardinal Newman, donating appreciated securities may allow you to donate the same amount or more to Cardinal Newman at a lower cost to you. Basically, cash donations to Cardinal Newman are fully deductible to donors. A $2,000 donation gets the donor a $2,000 tax deduction. But a donation of $2,000 of appreciated stock(s) gets you that same $2,000 tax deduction PLUS you don't have to pay capital gains tax on any gains you may realize in selling the stock. If you were to sell that stock yourself, you would owe the capital gains tax on the difference between what you paid for the stock and what it is worth today. If you donate those securities instead, you get the deduction and the tax savings. You can and should ask your investment or tax advisor about this or give us a a call here at the Cardinal Newman Advancement office (Kathy Badger (707) 484-6505). Your advisor can help you identify your stocks with the most gains (and therefore the greatest tax savings opportunity), and we can help you do the rest. When Cardinal Newman receives donated stock, we immediately sell those stocks and use the proceeds for our kids and our mission -- with no tax due from you or from us. Thank you for taking the time to consider. As always, please call or email anytime with questions or if we can be of any service on this or any matters. Of course, if you aren't in a position to take advantage of this strategy but still would love to support Cardinal Newman our online giving portal is always open. Charitable remainder trusts bypass capital gains, provide a substantial charitable deduction, and provide donors with income for life — typically 5%-8% per annum. In many instances, charitable trusts are funded with highly-appreciated assets which have a low yield, such as income property or marketable securities. When placed into the trust, the asset may be sold without incurring capital gains tax and the full proceeds reinvested for the donor at a higher yield. With the increased income and charitable deduction, the donor may create a wealth replacement trust to provide heirs with a tax- free equivalent in their estate. Gift Example: George Henry, aged 70, purchased growth stock a number of years ago for $25,000. Today the stock has appreciated in value to $100,000. George thinks the stock has peaked and, given the uncertainty of the stock market and the fact that his dividends amount to only $1,000 per year, he would like to convert to an income-producing investment. George knows that a sale will trigger a capital-gain tax of $11,250 (15% of the $75,000 gain), leaving just $88,750 to reinvest. Invested at 6%, this will generate $5,325 -- only 5.3% of the presale value. As an alternative, George decides to use the stock to satisfy his objective of making a major gift to Cardinal Newman High School and providing a stream of income for himself. He creates a charitable remainder annuity trust that will pay him $6,000 each year for the rest of his life. At his death, the trust assets will pass to Cardinal Newman High School. Because the trust is tax-exempt and will not have to pay capital-gain tax, George preserves the entire $100,000 to generate income for himself. What's more, he is entitled to a charitable income-tax deduction of $41,806. In his 33% income-tax bracket, this saves him $13,796 in taxes -- effectively reducing his investment to $86,204. When George's $6,000 payment is measured against his effective investment, it amounts to a return of almost 7% -- about 31% more than the effective return of 5.3% achieved through the sale and reinvestment of the proceeds. Donors may sign over an existing policy or establish a new policy to provide an endowment for scholarships or maintenance of facilities. In both instances, donors receive a charitable deduction. Donors may deed their residences to Cardinal Newman High School, yet retain the right to live in their homes for the rest of their lives. Donors receive large charitable contributions and have the assurance that their homes will not be taken away from them should they experience financial or medical difficulties in the years to follow. Gifts of goods or commodities may be placed directly into school service or sold at auction. Donors receive a charitable deduction for the fair market value of their donation. All IRS regulations are followed. Use this Donation Form when donating an item or service to Cardinal Newman High School. Cardinal Newman High School, a not-for-profit entity organized under the laws of the State of California, encourages the solicitation and acceptance of gifts to Cardinal Newman High School (hereinafter sometimes referred to as the School) for purposes that will assist the School in furthering and fulfilling its mission. The following policies and guidelines govern acceptance of gifts made to the School or for the benefit of any of its programs. Cardinal Newman High School for boys was established by the Diocese of Santa Rosa in 1964 to serve the Catholic community of Sonoma and surrounding counties. Our mission is to educate young men in the wholeness of mind, body and spirit through the teachings of Jesus Christ and to prepare them for the academic challenges of university life. Individuals on behalf of Cardinal Newman High School solicit current and deferred gifts from individuals, corporations, foundations, and other appropriate business entities, to insure the continued existence of the school, to secure its future growth and to fulfill the mission of the School. These policies and guidelines govern the acceptance and crediting of gifts by the School and provide guidance to prospective donors and their advisors when making gifts to the School. The provisions of these policies and guidelines shall apply to all gifts proposed as donations or received by the School for any of its programs, events, or projects. e. Other instances in which use of counsel or advisers is deemed appropriate by the Gift Acceptance Committee. Cardinal Newman High School will advise all prospective donors to seek the assistance and counsel of personal legal, qualified tax and/or financial advisers in matters relating to their gifts and the resulting tax and estate planning consequences. The School will comply with the Model Standards of Practice for the Charitable Gift Planner promulgated by the National Committee on Planned Giving, shown as an appendix to this document. The School will accept unrestricted gifts, and gifts for specific programs, events, projects, and purposes, provided that such gifts are not inconsistent with its stated mission, purposes, and priorities. The School will not accept gifts that are too restrictive in purpose. Gifts that are too restrictive are those that violate the terms of the bylaws, gifts that are too difficult or too expensive to administer, or gifts that are for purposes outside the mission of the School. All final decisions on the restrictive nature of a gift, and its acceptance or refusal, shall be made by the Gift Acceptance Committee of the School. The gift acceptance committee is charged with the responsibility of reviewing all gifts proposed as donations to Cardinal Newman High School, properly screening and evaluating those gifts, refusing or accepting those gifts, and making recommendations to the Board on gift acceptance issues when appropriate. The Asst. Director of Advancement in the CN Advancement Office is charged with the responsibility of appropriately receiving acknowledging all gifts in a timely fashion and providing all donors with a letter or statement from the School for income tax credit purposes under IRS regulations and guidelines. 1. Cash: Cash is acceptable in any form. Checks shall be made payable to Cardinal Newman High School and shall be delivered to the Advancement Office of Cardinal Newman High School. The School will give the donor credit for the full amount of the gift. Does the property fulfill the mission of the School? Is the property useful in the educational program? The final determination on the acceptance of tangible personal property gifts shall be made by the Gift Acceptance Committee of Cardinal Newman High School. If the gift is used in the School's educational program, the donor will receive credit from the School for income tax purposes equal to the appraised fair market value as established by the donor or a third party appraiser. If the gift is accepted for resale, the donor will receive a credit from the school for tax purposes equal to his, her, or its cost or the appraised fair market value, if it is less. The School will give the donor credit for the cash realized from the sale of gifts. 3. Securities: The School can accept both unrestricted and marketable publicly traded securities and closely held securities. A. Publicly Traded Securities: Marketable securities may be transferred to an account maintained at one or more brokerage firms or delivered physically with the transferors signature or stock power attached. As a general rule, all marketable securities shall be sold upon receipt unless otherwise directed by the Gift Acceptance Committee. In some cases marketable securities may be restricted by applicable securities laws; in such instance the final determination on the acceptance of the restricted securities shall be made by the Gift Acceptance Committee of Cardinal Newman High School. If potential problems arise on initial review of the security, further review and recommendation by an outside professional may be sought before making a final decision on acceptance of the gift. The final determination on the acceptance of closely held securities shall be made by the Gift Acceptance Committee of Cardinal Newman High School and legal and tax counsel when necessary. The donor will receive credit from the School for the value of the Security on the date on which he, she or it makes the gift pursuant to the high-low-mean letter generated by the selling broker. The School will give the donor credit for the value of the securities on the date of the gift. All policies shall be in accordance with IRS guidelines. 4. Real Estate: Gifts of real estate may include developed property, undeveloped property, or gifts subject to a prior life interest. Prior to acceptance of real estate, the School shall require an initial environmental review of the property to ensure that the property has no environmental damage or hazards. Environmental inspection forms are attached as an appendix to this document. In the event that the initial inspection reveals a potential problem, the School may retain a qualified inspection, engineering, or other, firm to conduct an environmental audit. The cost of the environmental audit shall generally be an expense of the donor. In the case of an outright gift of real property, if the property has been held for more than one year, generally the donor will be entitled to an income tax deduction for the value of the property and the donor will not incur a capital gains tax depending upon his, her, or its tax position. In the case of a remainder gift of real property, if the gift is made during the donor's lifetime, the School will give the donor credit for income tax purposes for the present value of the remainder. If the gift is made by Will or any other estate planning instrument, the donor will receive credit from the School for possible estate tax charitable purposes for the present value of the remainder. The School will give the donor credit for: (1) the cash realized from the sale of the property or (2) the present value of a remainder interest in the property. All certified appraisals will be paid by the donor(s). 5. Remainder Interests In Property: The School will accept a remainder interest, whether transferred by lifetime gift or bequest, and without regard to the age of the donor, in a personal residence, farm, vacation property or other acceptable property subject to the provisions of paragraph 4 above and provided that the School has no management responsibility for the period prior to taking possession of the remainder. The donor or other occupants may continue to occupy the real property for the duration of the stated life. At the death of the donor, the School may use the property or reduce it to cash. Where the School receives a gift of a remainder interest, expenses for maintenance, real estate taxes, insurance and any property indebtedness are to be paid by the donor or primary beneficiary. If the gift is made in lifetime and if the gift qualifies as a charitable remainder trust, the donor will receive credit from the School equal to the present value of the remainder. If the gift is made by will or trust and if the gift qualifies as a charitable remainder trust, the School will give the donor credit equal to the present value of the remainder, irrespective of the donor's age. 6. Gifts of Income Interests: The School will accept a gift of an income interest provided there is no management responsibility and no expense to the School is associated with such an interest. The donor will receive a letter or other appropriate statement from the School for income tax credit purposes under IRS regulations or guidelines for a gift of income interest. The donor may be able to exclude the income payment to the school, from year to year, from his or her income and thus receive the equivalent of a deduction. The donor shall be advised by the School to consult with a qualified tax adviser relating to this matter. Gifts of surface rights should have a value of $20,000 or greater. Gifts of oil, gas, related hydrocarbons and mineral interests should generate at least $3,000 per year in royalties or other income (as determined by the average of the three years prior to the gift). A working interest is rarely accepted. A working interest may only be accepted where when there is a plan to minimize potential liability and tax consequences. The property should undergo an environmental review to ensure that the School has no current or potential exposure to environmental liability. The School must obtain an independent appraisal substantiating the value of the property. The School must calculate the costs to safeguard, insure, and expense the property (including property tax, if applicable) during the holding period. 9. Life Insurance: Cardinal Newman High School will accept gifts of life insurance, when the donor contributes an existing policy, provided that the School is named as both beneficiary and irrevocable owner of the insurance policy before the life insurance policy can be recorded as a gift. Policies which are given to the school as described above and are not paid up can be accepted provided that the Gift Acceptance Committee determines that there is a reasonable expectation that the donor will continue to make gifts at least equal to the premiums required to maintain the policy in force. If the donor contributes future premium payments, the School will include the entire amount of the additional premium payment as a gift in the year that it is made. The donor will receive a gift credit from the School for income tax purposes at the time of the gift and a charitable tax credit for post gift premium payments. The School will give the donor(s) credit for the cash value of the policy when it is received. 10. Charitable Gift Annuities: Cardinal Newman High School may offer charitable gift annuities. The minimum gift for funding is $5,000. The President of Cardinal Newman High School may make exceptions to this minimum. The minimum age for life income beneficiaries of a gift annuity shall be 55. Where a deferred gift annuity is offered, the minimum age for life income beneficiaries shall be 45. No more than two life income beneficiaries will be permitted for any gift annuity. Annuity payments may be made on a quarterly, semi-annual, or annual schedule. The President of Cardinal Newman High School may approve exceptions to this payment schedule. Cardinal Newman High School will not accept real estate, tangible personal property, or any other illiquid asset in exchange for current charitable gift annuities. Cardinal Newman High School may accept real estate, tangible personal property, or other illiquid assets in exchange for deferred gift annuities so long as there is at least a 5 year period before the commencement of the annuity payment date, the value of the property is reasonably certain, and the President of Cardinal Newman High School approves the arrangement. Funds contributed in exchange for a gift annuity shall be set aside and invested during the term of the annuity payments. Once those payments have terminated, the funds representing the remaining principal contributed in exchange for the gift annuity shall be transferred to Cardinal Newman High School's general endowment funds, or to such specific fund as designated by the donor. 11. Charitable Remainder Trusts: The School may accept designation as remainder beneficiary of a charitable remainder trust with the approval of the Gift Acceptance Committee of the School. The School will not accept appointment as Trustee of a charitable remainder trust. 12. Charitable Lead Trusts: The School may accept a designation as income beneficiary of a charitable lead trust. The Board of Cardinal Newman High School will not accept an appointment as Trustee of a charitable lead trust. 13. Retirement Plan Beneficiary Designations: Donors and supporters of Cardinal Newman High School will be encouraged to name the School as beneficiary or contingent beneficiary of their individual retirement accounts or other retirement plans or accounts. Such designations will not be recorded as gifts to the School until such time as the gift is irrevocable. When the gift is irrevocable, but is not due until a future date, the present value of that gift may be recorded at the time the gift becomes irrevocable. 14. Bequests: Donors and supporters of Cardinal Newman High School will be encouraged to make bequests to the School under their wills and trusts. The School will accept bequests, including those for a specific amount, for specific assets, or for a fraction of the donor's residual estate. The School will give the donor's family credit for bequests after they are realized. An exception will be made if the bequest is drafted in a manner which is irrevocable. In those cases, lifetime credit will be given to the testator or trustor for the present value of the bequest. When the gift is irrevocable, but is not due until a future date, the present value of that gift may be recorded at the time the gift becomes irrevocable. No bequest will be counted as a committed gift unless that bequest is irrevocable and proof is determined. 15. Life Insurance Beneficiary Designations: Donors and supporters of Cardinal Newman High School will be encouraged to name the School as beneficiary or contingent beneficiary of their life insurance policies. Such designations shall not be recorded as gifts to the School until such time as the gift is irrevocable. Where the gift is irrevocable, but is not due until a future date, the present value of that gift may be recorded at the time the gift becomes irrevocable. A. Securing appraisals and legal fees for gifts to the School: It will be the responsibility of the donor to secure an appraisal (where required) and independent legal counsel for all gifts made to the School. B. Valuation of gifts for Advancement purposes: The School will record a gift received by the School at its valuation for gift purposes on the date of the gift. C. Responsibility for IRS Filings upon sale of gift items: The Gift Acceptance Committee of the School are responsible for filing IRS Form 8282 upon the sale or disposition of any asset sold within two years of receipt by the School when the charitable deduction value of the item is more than $5,000. The School must file this form within 125 days of the date of sale or disposition of the asset. D. Acceptance and Refusal of Gifts: The Gift Acceptance Committee may review any proposed gifts and such committee, on behalf of the School, reserves the right to refuse any gift. E. In-Kind Gifts: All in-kind gifts are subject to review by the Gift Acceptance Committee. After acceptance, the School will not assign any monetary value and all IRS guidelines will be followed. These policies and guidelines have been reviewed and accepted by the Gift Acceptance Committee of Cardinal Newman High School. The Gift Acceptance Committee of Cardinal Newman High School must approve any amendments to or deviations from these policies.